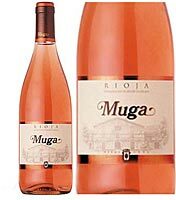 This entry was posted on Tuesday, May 24th, 2011 at 1:06 am	and tagged with Freddy Mercury, Muga, Rosé, Water and posted in Wine writing. You can follow any responses to this entry through the RSS 2.0 feed. i like the way you think travis, but when i went to the gym with a bottle of rose instead of that ‘other tasteless stuff’, the trainer there didn’t think it was the best idea. i might need to translate your this post for them so they could follow your reasoning. on second thought, i bet it wasn’t the principle they disagreed with, being spanish, they would probably argue for a bottle of red, not a wimpy rose!